It’s time to take better care of your vehicle. Not you, but us! Motorists throughout the Chicago area are making E & J Auto Service their go-to auto service facility. We’ve been around since 1946, and have continued to build upon our excellent reputation. Our focus has always been on prevention. Quality maintenance services are all about avoiding repair needs and breakdowns. We’ll design a service plan that fits your vehicle’s purpose and your driving habits. We consider your vehicle’s age and the manufacturer’s recommendations when designing your maintenance service plan. Our quality of service will put, and keep, your vehicle in the best condition and enhance its overall performance. Start your vehicle’s exceptional service plan today with a quick oil change service. The most important part of your vehicle is the engine, and the oil change is most important part of the engine service. Bring us your vehicle for any repair needs. All of our auto repairs start with an accurate diagnostic service to make sure you’re on the right repair path. E & J makes sure you avoid misdiagnoses and unnecessary repairs. We advise every driver in the Chicago area to come to us first. Our team will get to the bottom of whatever is bothering your car, truck, or SUV and fix it completely. You have nothing to worry about when you notice a performance issue. Our team is known for providing the most complicated repairs. That’s what we’ve been doing for over 60 years. Since we have several decades of quality auto service under our belt, we’re never playing a guessing game with your vehicle. Every repair need is met head-on with our service expertise and extensive experience. Bring us any of your vehicle’s problems, including brake repair, engine repair, transmission services, exhaust system repairs, steering and suspension repairs, air conditioning repair, and much more! You can save time, money, and stress when you come to E & J Auto Service. Stress is often the result of having to deal with an inexperienced shop on top of your vehicle’s issues. We’re able to eliminate stress by making your service appointment quick and convenient. Sit back and relax in our comfortable waiting area while we take total care of your vehicle. When you have a dedicated and experienced team of technicians on standby, you’ll never have to worry about vehicle performance. 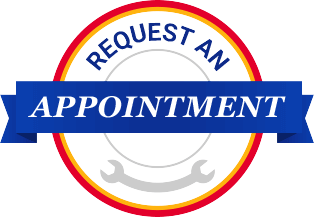 Give us a call today to schedule your auto service appointment. Save some time by using our convenient online scheduling system right now.